Do you have a free day, maybe before a Kilimanjaro trekking adventure, or are you waiting for a flight to your next destination? We have a choice for one day safari tour to one of these three parks. This 1-day Tour provides just the answer for you, to get a brief but unforgettable African wildlife safari experience in our country Tanzania. Packages for our 1-day safaris, tours, travel or even photographic safaris to any of the above mentioned three Tanzanian National Parks can be arranged to start from Moshi or Arusha town. 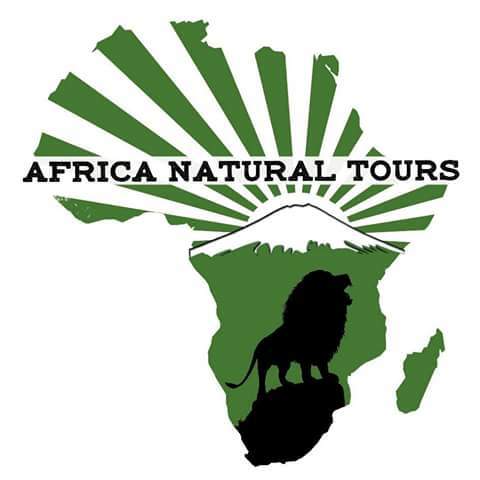 After breakfast you are met by our professional tour guide/driver, who will deliver a short safari info briefing, after which we travel west to the Arusha national Park. This small but beautiful Tanzanian National Park is the closest national park to both the famous Arusha “safari town” (30 km) as well as the Moshi town (75km), thus making it ideal for 1-day safaris or tours. Not only is the animal life in the park abundant, but it is also one of the most beautiful and topographically varied parks in Tanzania. 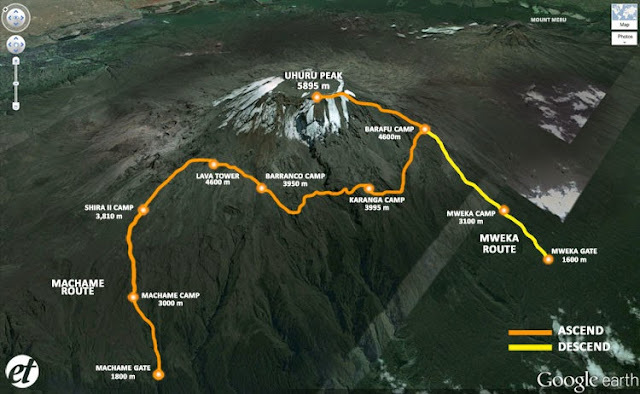 The park’s three most significant features include the rugged Mount Meru (Tanzania’s second highest peak at 4566m), the notably different colored Momella Lakes, and the 3km wide Ngurdoto Crater, which was formed about fifteen million years ago! We will enjoy an exciting morning game drive, lunch at picnic and afternoon game drive, visiting both the Momella Lakes and the Ngurdoto Crater. Wildlife which could be seen includes African buffalos, elephants, hippos, giraffe, warthogs, antelopes, zebras, blue monkeys and sometimes a rare leopard or hyena. Late afternoon we depart for Moshi where we will end our safari adventure. You will be taken to your hotel or alternatively to Airport, which ends our tour package services. 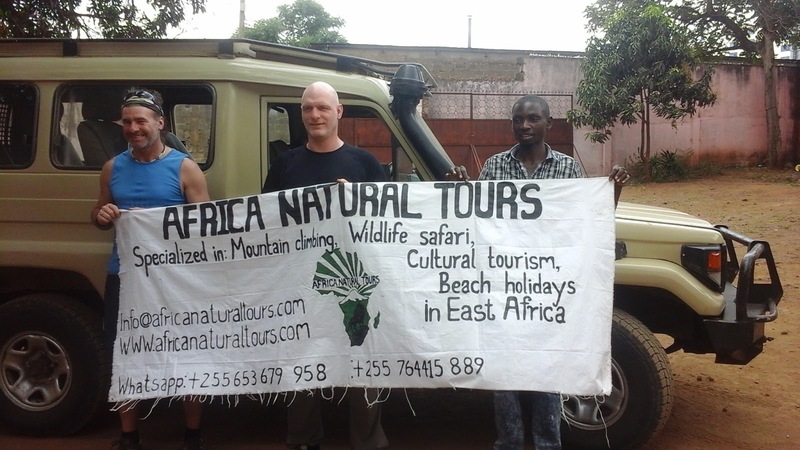 After breakfast you are met by our professional tour guide/driver, who will deliver a short safari info briefing, after which we travel west to the Great Rift Valley and the Lake Manyara National Park. We will travel through the agricultural and fresh produce market town of Mto Wa Mbu, which is situated next to the entrance of the Lake Manyara National Park. The town is a souvenir hunters paradise, harboring thousands souvenir salesmen – ready to pounce at your slightest invitation. The Lake Manyara National Park is one of Tanzania’s most dramatically located African wildlife areas, consisting of a massive but shallow soda lake (covering two-thirds of the park) at the foot of the Great Rift Valley’s western escarpment. The park’s varied habitat attracts a wide variety of animals, including one of Africa’s densely populated African elephants herds, Lake Manyara’s famous tree-climbing lions, as well as large flocks of flamingos, attracted by the algae in the lake. We will enjoy a picnic lunch inside the park and do two exciting morning and afternoon game drives, in search of the tree-climbing lions. Late afternoon we depart for Arusha from Lake Manyara where we will end our safari adventure. You will be taken to your hotel or alternative to Airport which ends our tour packages services. After breakfast you are met by our professional tour guide/driver, who will deliver a short safari info briefing, after which we travel east to the Tarangire National Park. The park runs along the line of the Tarangire River and is mainly made up of low-lying hills on the Great Rift Valley floor. Its natural vegetation mainly consists of Acacia woodland and giant African Baobab trees, with huge swamp areas in the south. Both the river and the swamps act like a magnet for wild animals, during Tanzania’s dry season. The Tarangire National Park is reputed to contain some of the largest elephant herds in Africa. We will enjoy a picnic lunch inside the park and do two exciting morning and afternoon game drives, along the Tarangire River. Late afternoon we depart for Moshi where we will end our safari adventure. You will be taken to your hotel or Airport which ends our tour packages services. The departure dates for all our tours, travel and trekking packages are totally flexible according to your own personal needs. Please contact us for further and more detailed information.